When it comes to developing your business, a million things can catch you unprepared. An impromptu investors meeting, a large commission or order you are barely equipped to handle, or staff shortages for a reason you couldn’t predict can all affect you out of the blue. What’s worse is that they can affect you during your busy periods, or times that you’re the least equipped to handle them. This is part and parcel of the experience of running a modern business. You will experience each one of these (guaranteed,) during your ascent to relevance. For this reason, it’s important to have the capacity towards throwing your full self towards these happenings, as they can ultimately make or break you. However, you’ll never be able to fully achieve this if you’re unable to protect your business in the first place. Protecting your business is more important than ever. The world is a much different place than it was even 20 years ago, and so preparing for this is essential. If you are compromised in some way, you could find yourself robbed of precious funding, resources, ideas, ability and even reputation. For this reason, and the following reasons listed, covering yourself is critical. Couple these handy tidbits of advice with coverage from My Cybersurance, and you’ll find yourself even more able to overcome the shifting tides of business. It sounds awful, but it’s true. The online world has massively opened up almost every firm to potential intrusion. Not only can this compromise your most vital files and patented idea designs, but it can leak vital information about your account holders and business suppliers. Think of how bad the recent Equifax leak was. While it’s unlikely, your firm is this large, even leaking one client’s information can be very damaging for your firm’s reputation as a whole. Worst case scenario, funding can be stolen, or vital business operations can be interfered with. 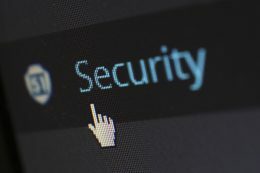 Using a solid VPN can help protect you against attacks, but so can hiring in-house IT security experts and developing unique IT policies for your staff to follow in order to keep the entire team on the same page. While you rarely hear about scams perpetrating society on the news, they still exist. Scam artists have had to overcome the wisdom of the police and modern firms, and invest their own ingenious methods of acquiring what they want. This can come in the form of apparent business to business connections, employee applications, or even false commissioned services. For this reason, it’s important to vet anyone you do business with. It’s especially important to check on your employee criminal and personal background. It’s also important that you have a strict non-disclosure policy around the vital information you must share, but can’t quite afford to be used against you. The only counter to more refined scams is more refined methods of detection. Work closely with your local police to keep on top of the latest known business scams, keep a watchful eye, surround yourself with those you trust, and you should be golden. With these tips, you will find that protecting your business is where it should be, and that’s high on your priority list. Previous articleCould a train station pop-up provide your platform for business success?